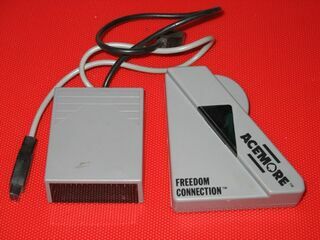 The Freedom Connection is a third-party accessory compatible with the Sega Master System. It is effectively a infra-red controller and receiver which fits in a DE-9 port, making it compatible with a number of computers too. NES versions of the accessory were also released. It is only known to have been released in North America.